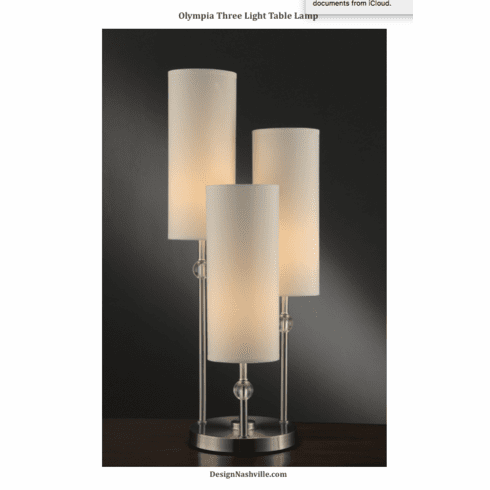 Sophisticated, cylinder shaped shades are staggered at three heights in this three arm lamp. Each column is smooth and embellished with a glass sphere close to the shade. The circular base is weighted and attractive with the overall design. The shade is white silk.